When I heard that crop tops were making a comeback, I cringed. Clearly, this is a teeny bopper trend for those who missed the height of the crop top in the 90's, or for girls who are married to the treadmill and love showcasing their rock hard abs. 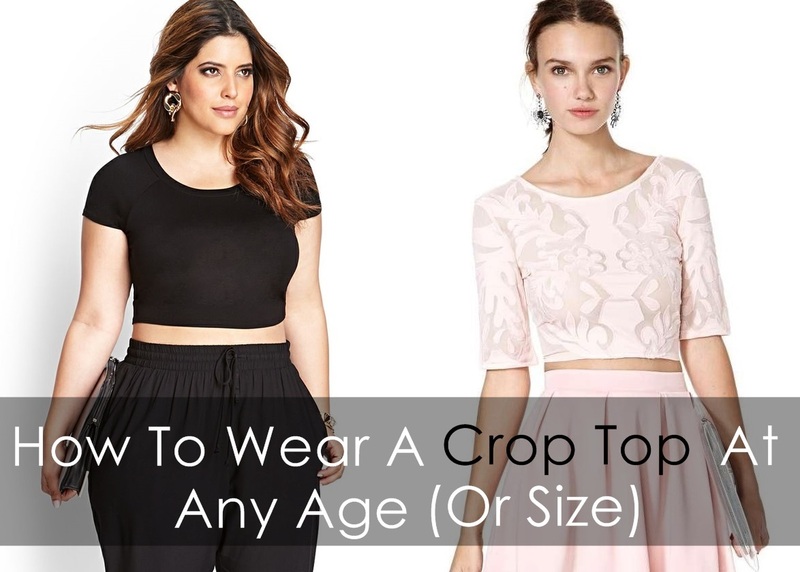 For those of us who are are neither, the thought of wearing a crop top might be intimidating and pretty much top our "would never wear" list. However, there is a more demure way of wearing this belly-baring trend. Paring it with high-waisted skirts and pants makes it much more sophisticated and appropriate for all shapes and sizes. Showing just a sliver of skin makes it modest and age appropriate rather than edgy or vixenish. Take a look at these examples on how to turn this skin-revealing trend into a style that works for everyone! Totally! It completely reinvents the look. Thanks for your help! My belly is not that thin so!